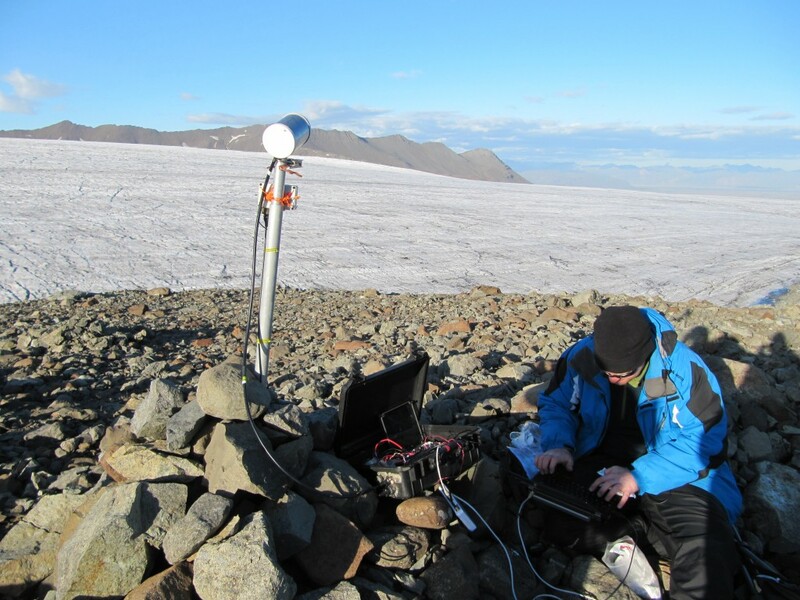 Here Phil is installing a new Wifi link to the moraine smart-camera system. Incredibly this “cantenna” can link directly to the Holmur Wifi 16km away! We don’t expect perfect connectivity but even occasional link-up will push the images to the web server in the UK.